Note: this post has been updated to reflect app selections from mid-2017. Sharing a comparison chart contrasting features and prices between apps. Describing each of these apps, their highlights, and notable differences between them. Today’s post explores 19 sample organizer apps. There a lot of information here. Scan the app categories and descriptions and explore the facts to help you decide what’s the best sound effect library manager for you. A future post will include tips to help you choose the best sample organization utility. Let’s start with an overview. I made a chart of metadata apps for you. It lists every app I mention in this article, its price, system requirements, a link to the app, and its features. I’ve placed them alongside each other so you can see how they compare. You can view the chart in your browser, a pop-up image, or download versions to your computer. View in browser: See the full, wide-screen chart on Google Drive in a new browser window. View the pop-up image (make your browser window extra wide). I pulled this information from their websites, and from app demos. I also emailed publishers. However, despite my best efforts, there are gaps. I’ve noted those with question marks. Notice discrepancies? Please contact me. Blank entries means the option isn’t offered, or isn’t applicable. Search style: do you access one clip at a time (“single file”), or are able to search, browse, and modify huge lists of sounds (“database”)? Playlists: the ability to organize lists of favourite sounds, and projects. 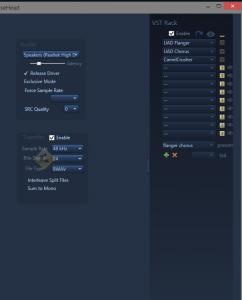 Transfer to DAW: how sounds are sent to sound editing apps. I explained these types at the end of the last article. In-App Editing or Processing: the ability to modify and save files without leaving the app (fades, normalization, trimming, etc.). ReWire: ReWire is a protocol for transferring audio between apps. What about the apps themselves? That’s a lot to do. In fact, each task is so involved that any of them would easily absorb an app programmer’s entire focus. And that’s precisely what many choose. So, it’s important to note that many of the apps listed here perform one of these tasks, or two. The premium apps manage three, and only a handful provide all four. Some excel at one or two, and take a stab at the others. And that’s just fine. Many of these apps don’t pretend to offer the full suite of organizing, auditioning, transferring, and embedding metadata. For instance, one app is primarily a DAW or sound editing app, with some metadata features. I’ve included software like this to cover as many apps that address metadata in any way. Many are “media management” apps, or what I call “sound browsing apps.” They are meant to organize sound libraries, and aren’t interested in meddling with metadata. So, I’ll look at each app not in terms of the steps it lacks, but how well it succeeds at the steps it attempts. I’ll note the app’s highlights, its shortcomings, and how it stacks against the competition. And a heads up before we get started. Each app description covers the broad strokes that are most important to helping editors and sound librarians use metadata. They have other cool features, too. Most have a free demo version you can test. Let’s look at each category. These apps offer the most options. They perform all four steps: organizing and browsing and auditioning sounds, editing metadata, and transferring clips to a sound editing app. That’s where the similarity ends. How these apps get the job done varies. All of them sprinkle a variety of tempting features throughout, many of which are exclusive to their own app. Do you want unlimited power in sound library management, metadata curation, and sound clip auditioning, processing, and transfers? 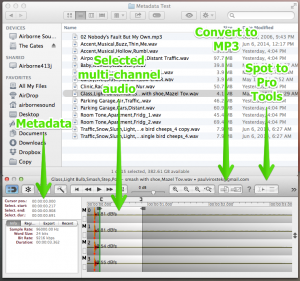 Soundminer’s apps wrangle these tasks in no less than four software product options. 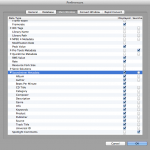 Each of Soundminer’s suite of apps offer increasingly powerful features. 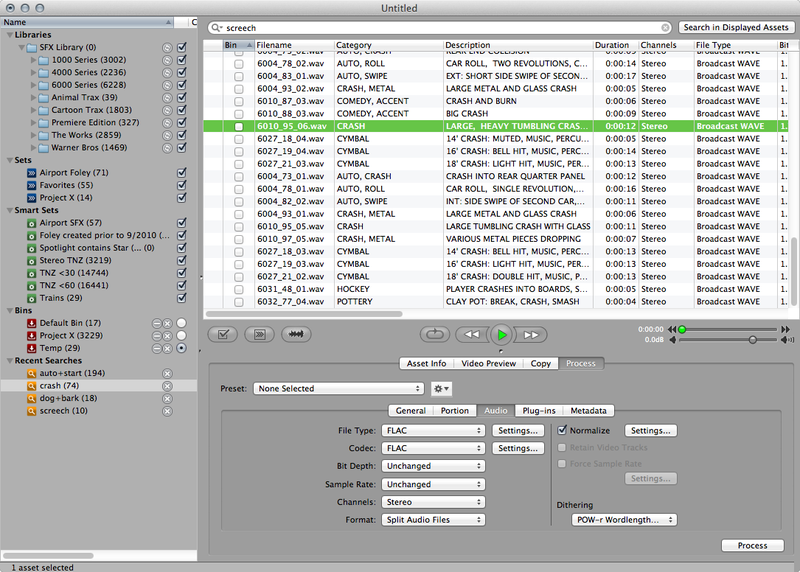 All apps allow adding and organizing unlimited clips in multiple databases and playlists. 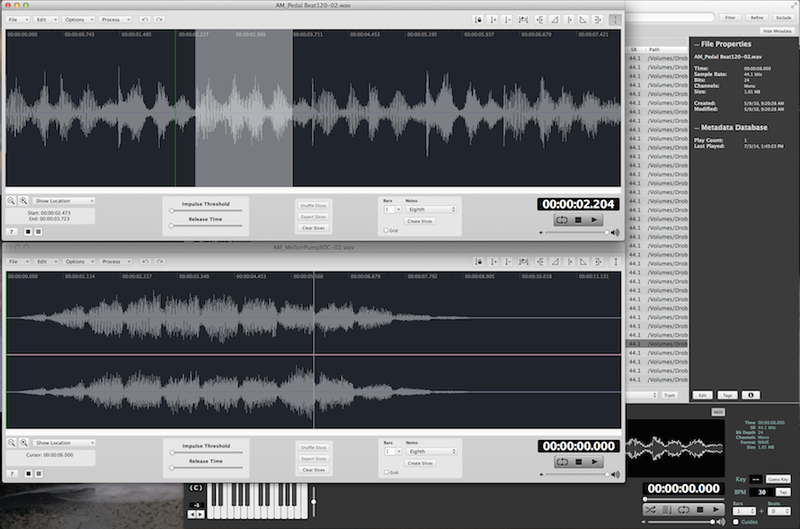 Multi-channel sounds can be auditioned in a waveform display, and selections of the waveform can be selected and transferred to editing apps. More elaborate apps in the product line include pitch control, 192 kHz sampling rate, ReWire auditioning, and the ability to apply VST plug-ins to transfers. The best allow transferring portions of files in batches to workstations effortlessly, including the premium “spot to timeline” feature. Explore these differences on the product pages, in a blog post about product differences, a product comparison description and a product comparison chart. Joystick-style pitch and time control. The “HD” line is a modular, economical choice for both Mac and Windows with only limited highlights from v4, although a recent "Pro Pack" adds many of the features from v4. It also features a more stylized interface. And what about forget metadata? 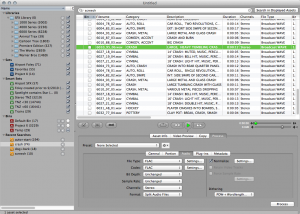 Soundminer reads ID3, BWAV, and iXML and many others, and displays over 60 proprietary metadata fields, which it can modify and embed in batches. This metadata feature set is unmatched and continues to evolve. 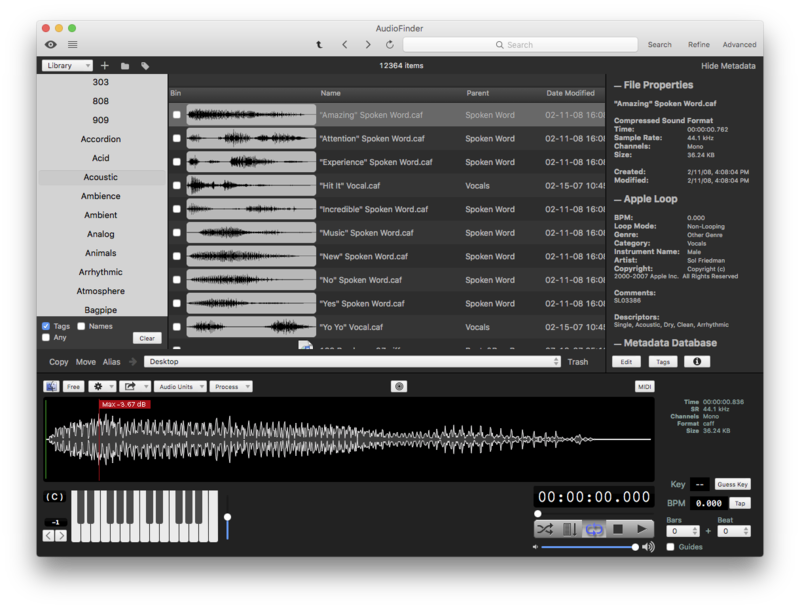 Soundminer offers almost everything everyone else has, and does it well. It has a massive feature set packed into complex software. 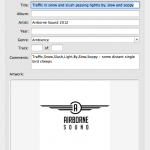 Considering Soundminer as your first metadata app? Be aware that the app is incredibly complex. That means that the menus, overall design, and workflow take effort to get used to. As a result, while the app offers unrivalled features, it also has a steep learning curve. Note too that the power within these apps has a price to match; its most sophisticated apps have the highest price of all sound cataloging apps. 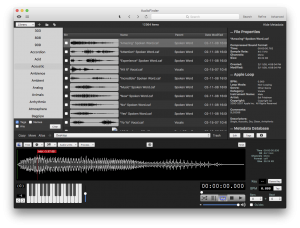 Soundminer is a favourite of film and TV post sound editors. It is also making inroads with music supervisors. 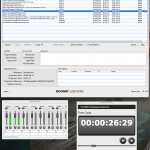 It is an unmistakably professional tool with an emphasis on extensive features for sound editor and sound librarian power users. 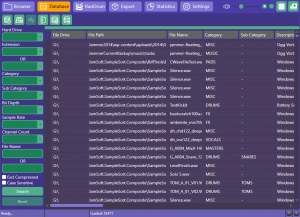 Ample metadata control, modification, writing, and export. 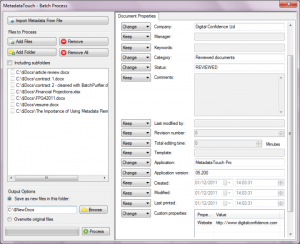 BaseHead is another metadata app that tackles all four steps of metadata apps. It is popular with game audio pros. 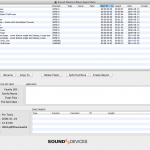 It allows searching and browsing of large sound libraries quickly. It feels particularly slick and snappy. It organizes libraries and projects in playlists in a “Peek Tree” sidebar. The design is particularly appealing. Besides looking attractive, everything is presented simply and understandably in one main window, tucked behind four separate page tabs. It displays a waveform at the base of search results with transport, pitch, and pan controls. 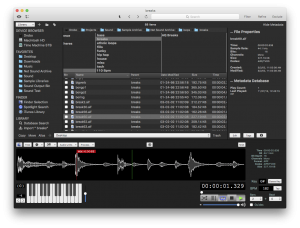 Selections can be transferred by drag-and-drop, bin copy, or spot-to-timeline in regions to pro sound editing apps. BaseHead allows for ample metadata fields. 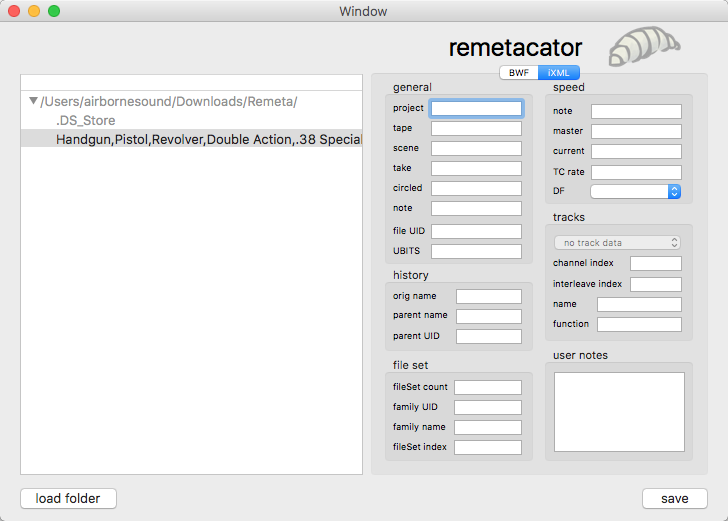 It can see BWAV, ID3, and Soundminer v3 metadata (though not Soundminer v4). 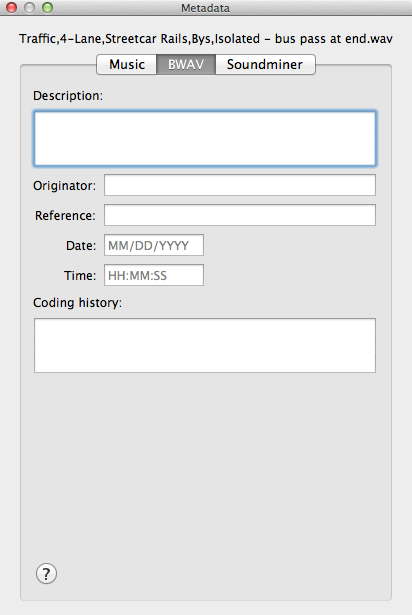 It is able to write to a single BWAV metadata field: description. It also writes to a number of XML fields. 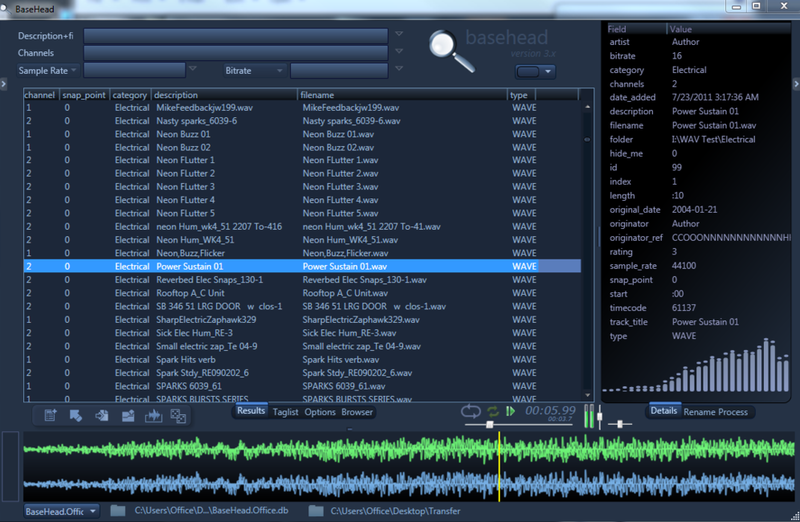 BaseHead 4.x Lite – basic import, audition, and transfer features at 48 kHz/24-bit. 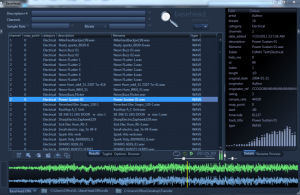 BaseHead 4.x – the standard version. Transfers also limited to 48 kHz/24-bit. 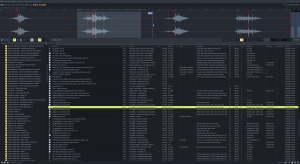 Adds spotting to timeline, VST support, and other features. 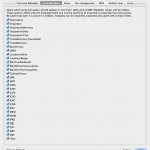 BaseHead 4.x Ultra – adds extra organizational and searching features. 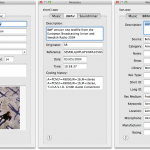 Notably adds batch renaming, image and iXML writing metadata options, and ReWire auditioning. 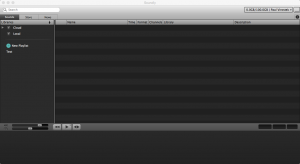 Broad organizational features: playlists, tagging lists. BaseHead also offers an online manual you may browse yourself. Note: Basehead 5.x is on the horizon with features including cloud streaming sound fx libraries, and other cool features. One of the most recent metadata apps released, Soundly introduces a number of novel features not seen in other apps. The first is a combination that’s unique to all metadata apps: full-featured sound library browsing, transferring by drag and drop and spotting to Pro Tools timeline, ReWire support, batch BWAV metadata editing and embedding, and access for to 400 in-app cloud sound library clips completely free of charge. What’s the catch? There isn’t one, really. The app looks slick and performs simply and well. If you’d like, you can buy a 24-hour $9.99 or $14.99 monthly pass to access Soundly’s 96 kHz/24-bit 10,000+-strong sound clip Pro library. 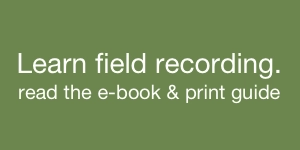 There is also an option to purchase other sound libraries from independent field recordists directly within the app. In an industry first, the Freesound.org library can be accessed directly from within the app. There’s no obligation to purchase, though. 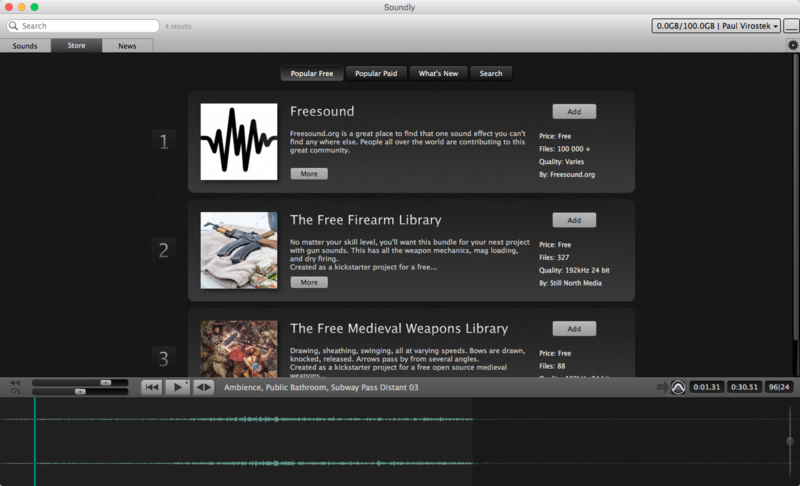 Soundly will work perfectly well as a comprehensive sound library management app and metadata editor, completely free of charge. The app does limit file imports to a reasonable 2,500 clips, with paid plans eliminating any limit. 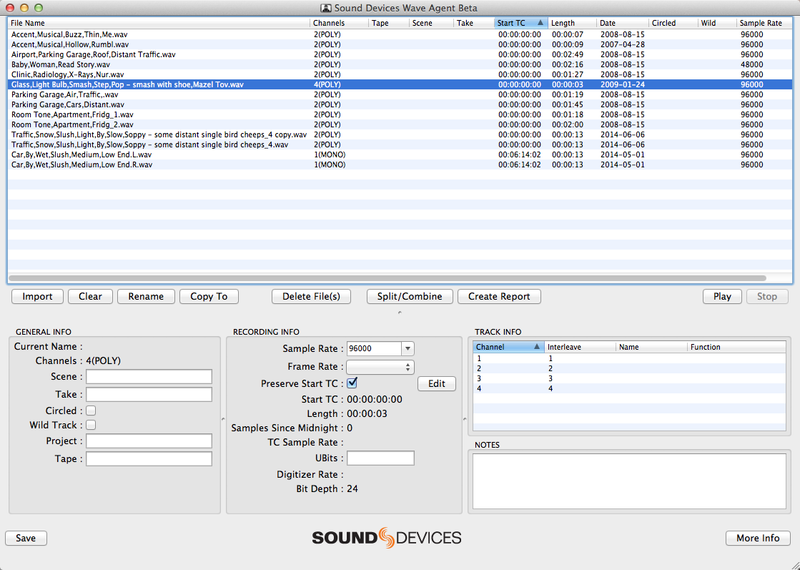 Soundly is an unbeatable way to begin to organize and add metadata to a sound fx collection at no cost. 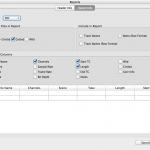 Transfer by drag-and-drop and Pro Tools spot to timeline. 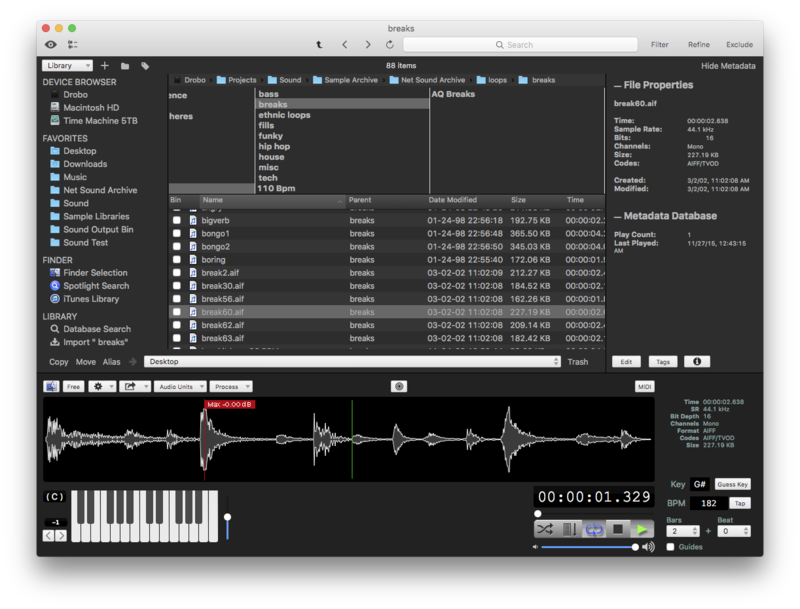 At first glance it’s easy to be dazzled by Resonic Pro’s dozens of slick features: dark-mode waveform display, pitch shifting, level meters, slow-motion analyzer, marker support, and drag-and-drop sample rate conversion export. Once you move beyond Resonic’s impressive UI, you’ll discover a comprehensive sound clip file browser with drag-and-drop importing into editing apps. To me metadata is probably the most important thing in asset management… The result is what I believe to be the most exhaustive meta parser at a very reasonable speed. It reads almost anything you throw at it, information that 90% of the other apps in existence doesn’t even know exists. The idea is to take that information and pair it with an auto tagging engine that goes far beyond simple string compares in filenames to come up with a keyword. …I am actively developing the metadata writing portion of Resonic’s meta core now, giving the most attention to WAVE/RF64/AIFF/AIFC files. The app is currently in beta, but shows a lot of promise. VST, wider metadata support, text import, and playlists are forthcoming, as well as a intriguing “auto tagging” feature. Check out a feature list and a roadmap of upcoming features. Drag-and-drop import into editing apps. Library Monkey is designed for flexibility. It handles a truly massive amount of file formats. 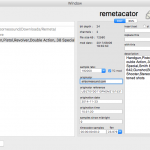 It easily injects fresh metadata from file lists, including from Apple’s iTunes. 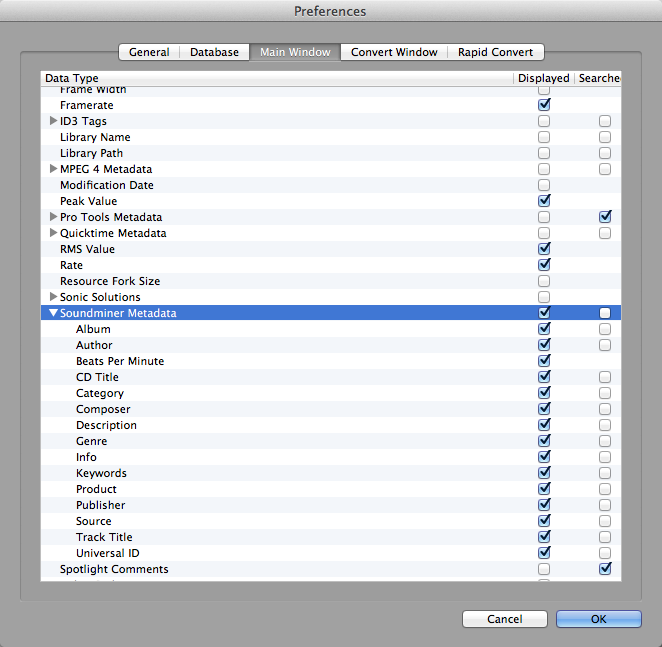 The pro version can import metadata from a CSV file, complete with a tool that assigns new fields to their proper columns. 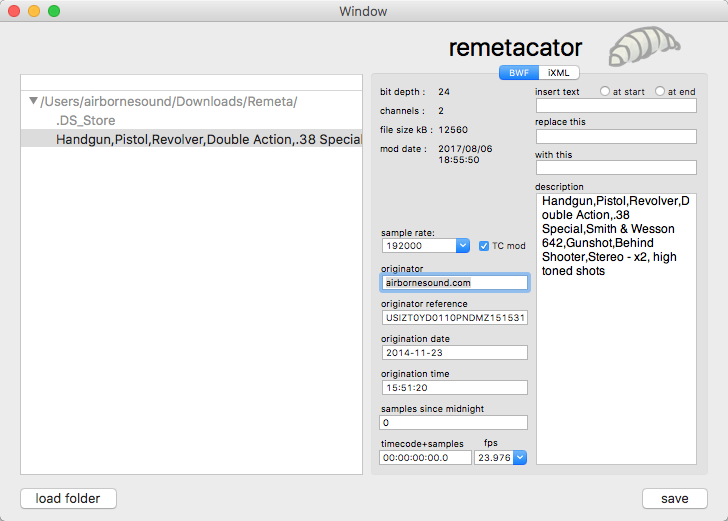 It reads Soundminer v3 metadata. This allows browsing of an incredible amount of metadata columns. It is important to note that Library Monkey doesn’t write metadata: it saves changes to a database. Library Monkey scores well with organization in its sidebar “Master List”, grouping databases (named “Libraries”), playlists (“Sets”), dynamic “Smart Sets,” and displaying bins and recent searches. A highlight is the app’s processing tools. It can copy batches of files while performing renames, sample rate conversions, format changes, normalization, and applying AU and VST plug ins (Pro only). This process can also embed metadata across the transfer in dozens of formats. The Pro version can edit dozens of clips at once within the app. 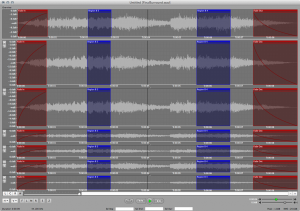 This displays a waveform view where editors can solo and mute tracks, apply fades, and more. Editors can send this work either offline to a hard drive folder (“Convert Session” function), or can drop the clips into a specified audio app timeline (Pro version). Contrast versions of Library Monkey in this comparison chart. Extensive “Master List” organization features. 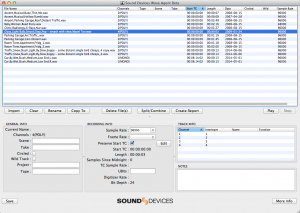 Industrial-strength sound file conversion features. Flexible features, options, settings, and presets. AudioFinder appears to be aimed towards the music market. Many of its presets highlight music genres and MIDI features. 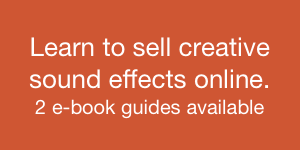 But don’t let that stop you from using it with your sound effects library. Like Library Monkey, Audiofinder doesn’t write metadata back to a file. It too saves changes to a database. Most of its metadata focuses on single-word “tags” for categorization. The defaults are music-based genres, but you may easily create your own. These tags supplement a handful of BWAV metadata, and 20 user-defined custom metadata fields. There’s also a powerful find and replace function. Searches can be performed by clicking tags in a sidebar, or an advanced search reminiscent of the MacOS Finder’s search. It also allows filtering of results. 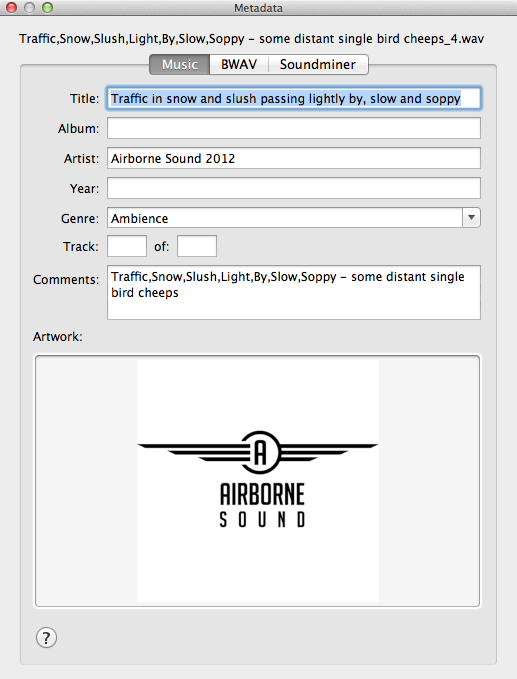 As with Library Monkey, AudioFinder lets editors modify tracks directly within the app. This “Sample Tool” allows trimming, pitch analysis, fades, and looping in a pop-up screen. 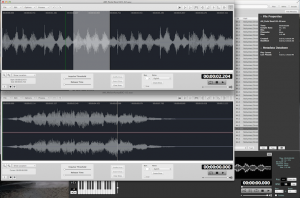 Sound selections can be transferred to editing apps via drag-and-drop. AudioFinder supports Pro Tools, Logic and even DropBox, and SoundCloud. In-line editing with AU plug-in support. 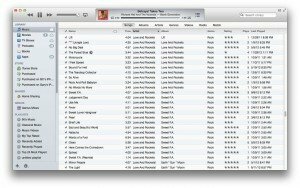 With a bit of care, Apple’s iTunes music jukebox software can perform many of the same features as others in this category. It provides many options that help sound librarians on a budget. It organizes sound files in sidebar playlists, and also provides surprisingly detailed dynamic “smart playlists.” It can import and export playlists. The search feature is basic, but is able to find clips quickly from tens of thousands of files. iTunes will save metadata to MP3 and AAC files. 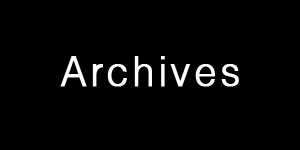 Metadata for all other file formats are saved to a database (only). And, when you’d like to transfer a file, simply drag and drop a clip into the Pro Tools timeline. 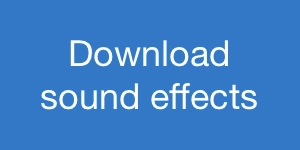 By subscribing to Apple’s iTunes Match service ($24.99 a year), up to 25,000 sound effects will be uploaded to the cloud. Then they can be accessed via a browser, or within any copy of iTunes. This remote sound library access has interesting potential for pros who find themselves working in a variety of facilities. 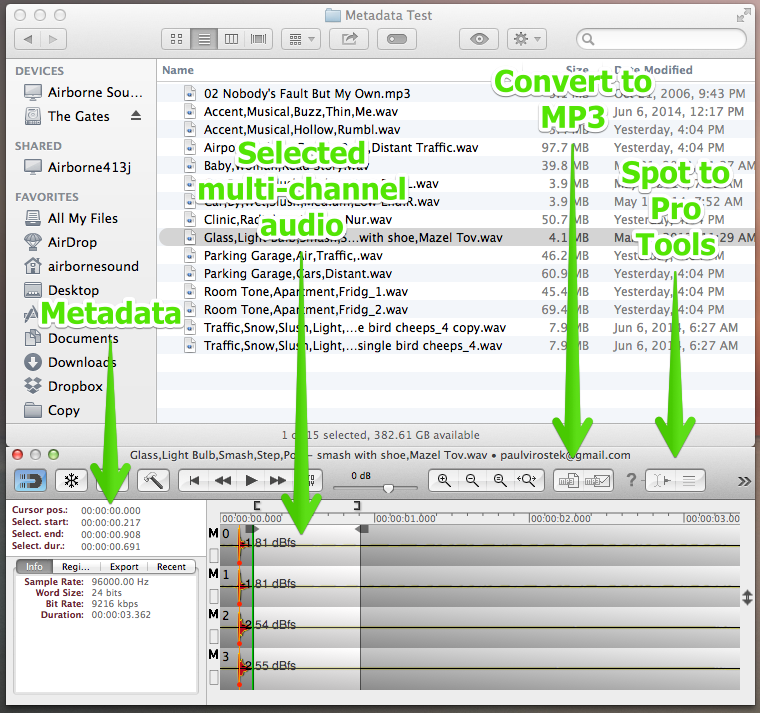 Apply metadata to MP3 and AAC files in batches. FindSoundsPallette, free, Windows (98, 2000, XP). This retired, formerly commercial app was last updated in 2009. The publishers now allow free “as-is” downloads of this app, which allows searching of multiple fields (name, description, category, sampling rate, more). Includes an audio player/editor. FXLibrary, free, Windows (Vista, 7). 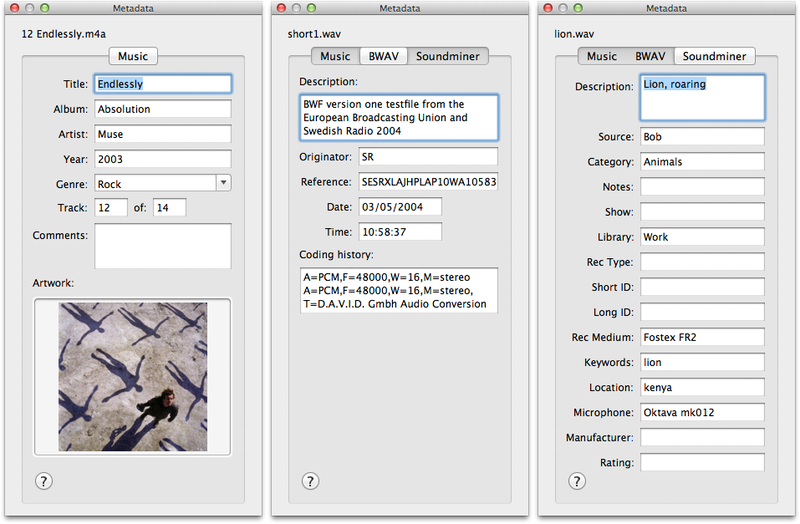 Another retired option from 2009, this sound clip cataloging app can import, browse, and apply BWAV metadata. Other perks include sample rate conversion, playlists, waveform display, and multi-channel auditioning. 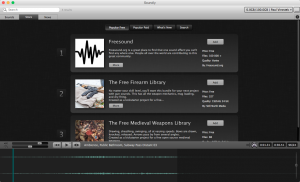 SoundLib $15.00 (MacOS 10.2 – 10.6.8, Windows 98 – 8). Have an older computer? Wallet a bit empty? SoundLib is an option. The app allows adding, browsing, and auditioning sound files, as well as importing popular corporate sound fx library listings. There are also options to add basic data such as category info and comments to a database (but not embedding to a file itself). NetMix Pro (MacOS 10.6 – 10.8, Windows XP, and 7). This app is a bit of mystery. There isn’t much information on their website. I’ve reached out to the developers, without response. The app page hasn’t been updated since I last visited in 2014, so make of that what you will. Our next category of apps aim at two tasks: browsing sound effects, and organizing them with a focus on project management. 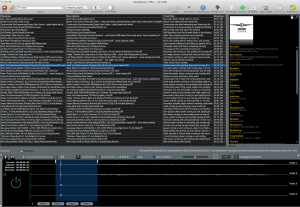 Metadigger was designed by corporate sound library titan Sound Ideas to search collections, and organize selections into lists. While it seems a bit awkward to use at first, it’s not too bad once you get used to it. It reads both ID3 and BWAV metadata, and had a fair search function. 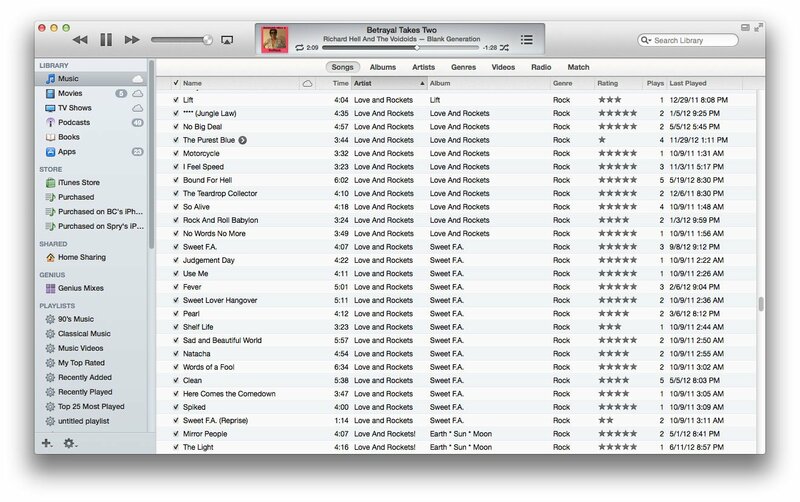 Results can be organized and sent to project playlists, which can be saved, and merged (“appended”) with others. 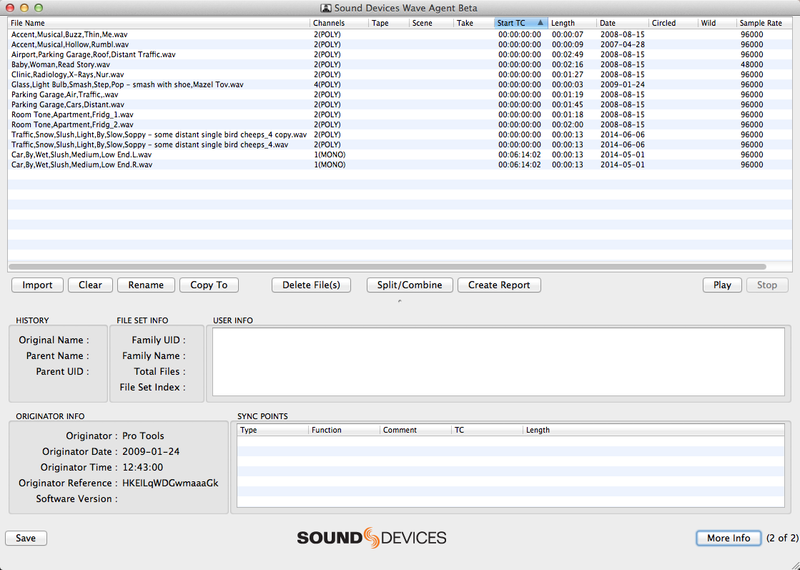 Sound file lists can be imported and exported as CSV files. Aural Probe free (Windows Vista, 7, 8). This open-source app allows sound librarians to browse disparate clips, sort them by category, then drag and drop them into editing apps. While it lacks metadata reading and embedding of other apps, this option is easy to use and free. This Windows sound clip utility allows users to add sounds, organize them in virtual folders and groups (like playlists), sort them, then add them to other apps via drag-and-drop. It doesn’t support scanning metadata, but there is ability to write comments, tags, add star ratings (to a database, not the file itself). There is also extensive filtering support, as well as a waveform display. Sample Librarian isn’t as full featured as others in this category. However, it’s a solid choice for searching, waveform auditioning, and editing app import for Windows for the price point. SampleSort free, Windows (Vista, 7, 8, 10). The free Windows app was designed to help navigate thousands of samples easily and quickly. While it lacks a waveform view, it does support auto-categorization, sample rates up to 192 kHz, and export to folder or drag-and-drop to editing apps. Void Tools Everything free, Windows (XP, Vista, 7, 8, 10). A simple, fast, file browser. 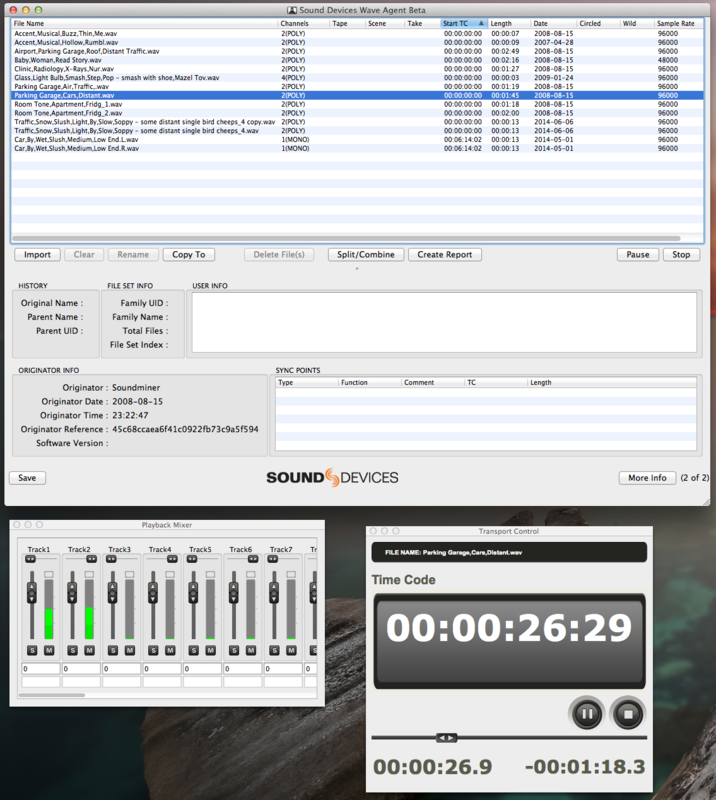 While not designed specifically to work with sound fx, this Windows app can search well-named sound clips blindly fast. 74mph Solutions WavSniper free, Windows. An option that allows adding, browsing, and auditioning WAV and MP3 files. It can update tags, but doesn’t write them back to a file. 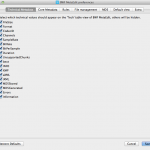 Supports drag-and-drop into editing apps. These apps have a single goal: to work with metadata. They read, compose, and write metadata. 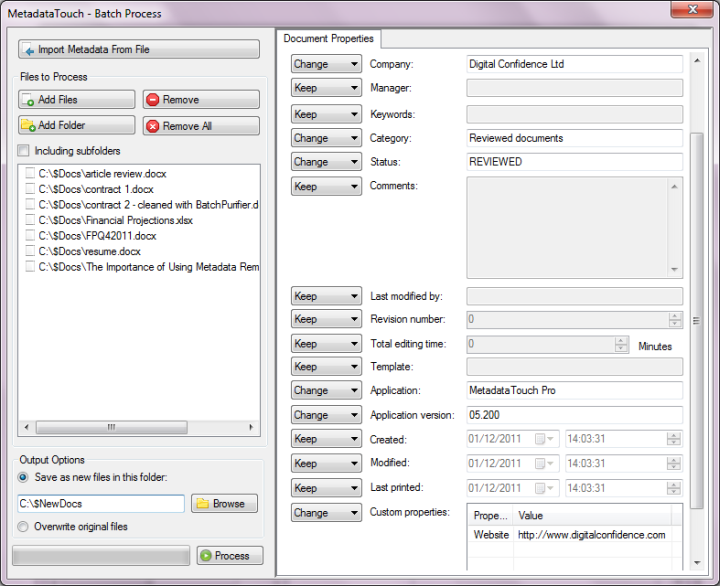 MetadataTouch is a Windows app designed to assign metadata not just to audio files, but a total of 23 file types. Because of this, the metadata fields are more generic (title, subject, author). There are helpful keyword and category fields, though, among others. It reads ID3, BWAV, iXML, and other audio metadata formats. 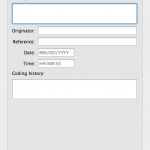 The app allows users to import and export metadata templates, too. The standard version can write to one file at a time, while the professional version applies changes in batches. Reads many audio metadata formats. This small app reads and writes multiple BWAV and XML fields. It can apply changes both singly and in batches. It also includes options to insert text at the beginning or end of the description field, or replace text there. The app is free, just grab the user name and serial code from the download page. TwistedWave is an interesting app. 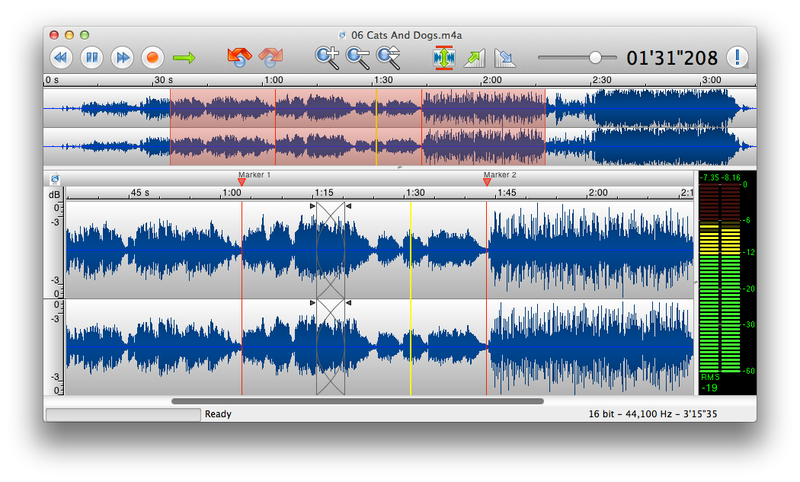 It is a powerful and intuitive audio editing app that also has batch processing and metadata support. Because its main purpose is editing sound, it includes standard copying and pasting and multi-channel editing, and enhances that with detecting silences, fades, normalization, markers, etc. It supports both AU and VST plug-ins. The app can read BWAV and v3 Soundminer. Like others in this category, TwistedWave only works on a single file at a time. Also, it cannot be sent to an editing app. After all, it is an editing app. TwistedWave also offers iOS versions, and an online editor, too. Check out its online manual. Reads BWAV and Soundminer metadata. Sound Devices make some of the best audio recording hardware on the market. 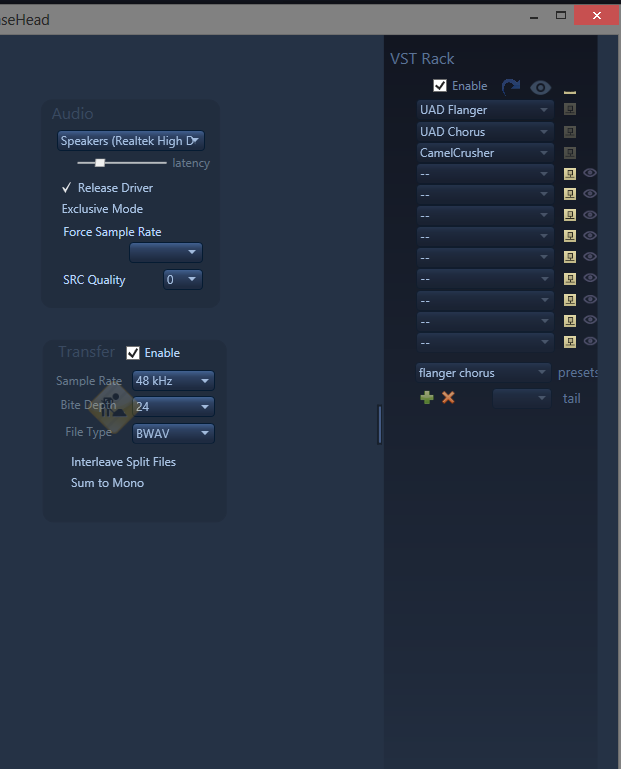 Wave Agent is a tool meant to help production sound mixers touch up sound file metadata recorded on set. The app can view and modify BWAV metadata including the Scene, Take, Project, Tape, and Notes fields (appears in Pro Tools “File Comments” or Soundminer “Notes”), which it saves back to the file itself. It can add BEXT and iXML data, then fit it into a BWAV format. 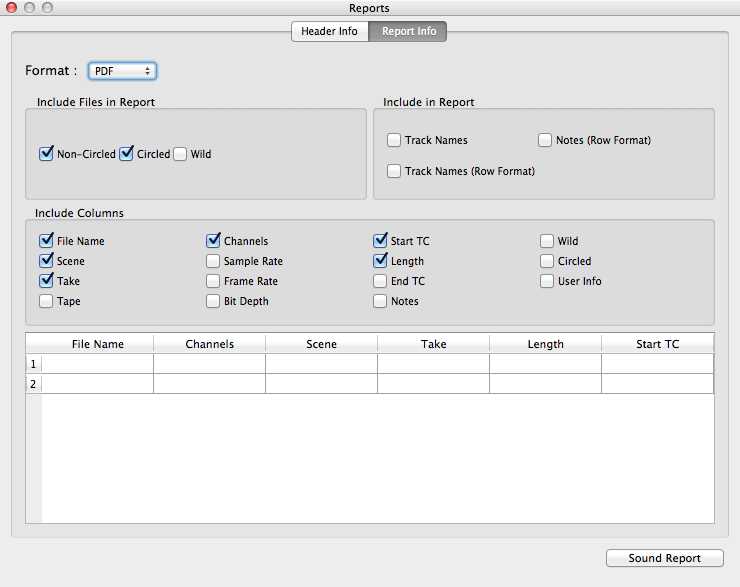 In addition, it offers a non-embedded metadata format: users can create sound reports, enter data, and export that as PDF or CSV. As a bonus, the app allows single file playback, complete with a mix desk and meters which can actually be arranged to control a 788T recorder. 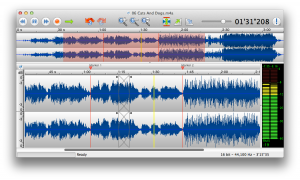 Wave Agent also edits recordings by splitting channels into new files. 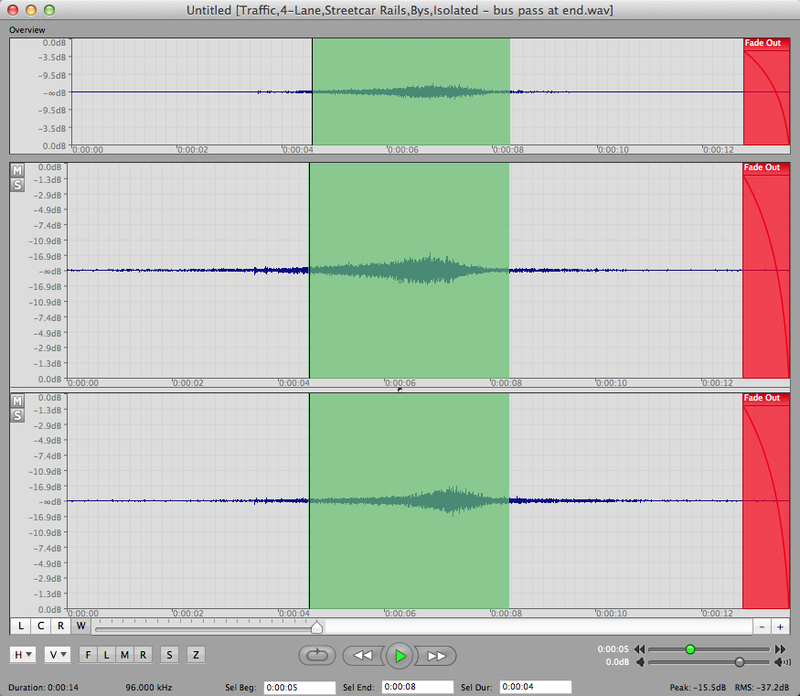 Sound report creation and export. Playback with mix desk control. 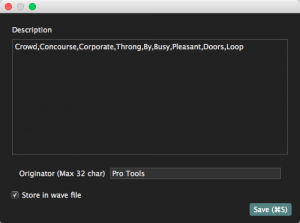 GoodSound’s suite of tools are designed to work with BWAV files and metadata in a way that’s similar to Sound Devices’ Wave Agent, with extra features. 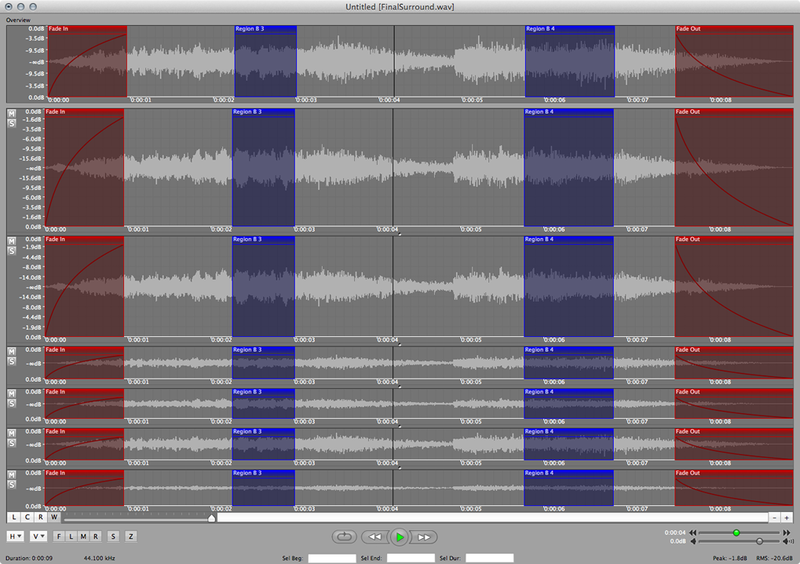 The BWF-Widget Pro allows editing BWAV and iXML metadata and playback of sound files, as wells as sound report export. 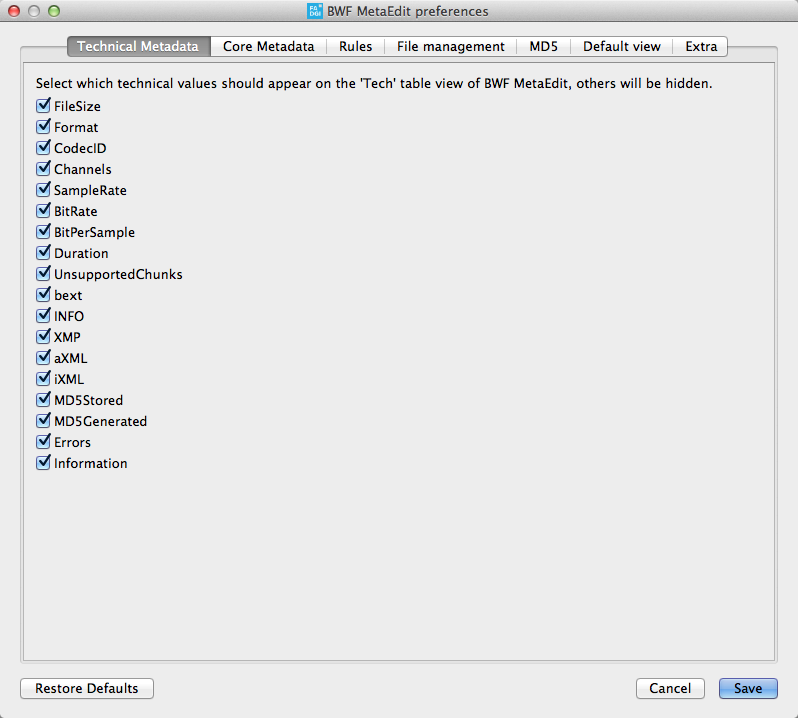 BWF-D-Base imports data via tab-delimited text files so you can edit the metadata in the app. Text file import and export. Batch read and write metadata to BWAV and iXML. BWF MetaEdit (also here), free (MacOS 10.6-10.9, Windows XP, Vista, 7, and 8, Ubuntu, and many more). 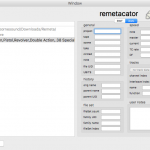 BWF MetaEdit is a free, open source app for Mac, Windows, Ubuntu, and many other operating systems. It allows users to view and edit metadata in a dozen BWAV standards I won’t pretend to understand, then export the results as iXML and CSV. Modifications must be done individually; there is no batch edit function. Reader Andy has noted that it is possible use BWF MetaEdit to alter metadata in batches using a clever workaround. The app allows exporting file lists in CSV, which can be modified using Excel, Numbers, or Google Sheets. The list can be then reimported and changes embedded back to the files. 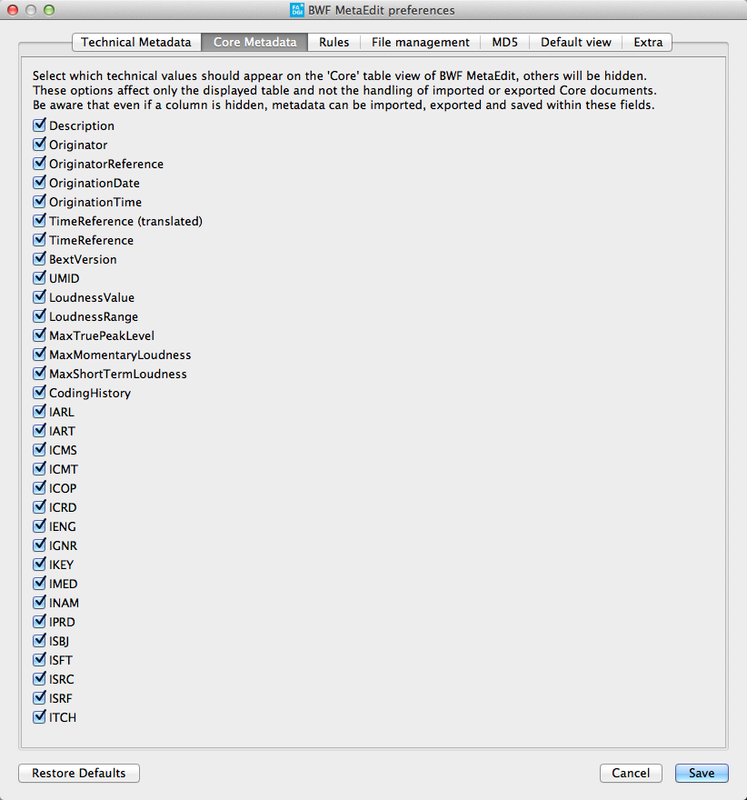 Export lists as iXML and CSV. Commenteer is a small Mac app that adds and modifies the MacOS Finder’s Spotlight comments. It can append or prepend comments, or fetch them from the clipboard. It can also import comments, and export them to a list. The comments are applied singly, or to a bulk set via drag-and-drop or tab-delimited reference file. How can this help you? The MacOS Finder’s Spotlight is a fairly decent way of tracking down files. You can add metadata info to each of your sound effect’s Finder comments, then track them down using the Spotlight, or any other app that takes advantage of Finder comments. Able to apply Spotlight Finder comments both singly, and in batches. Snapper isn’t able to gather many files or search through them. That’s fine, though. It does the other work of metadata apps well: reading metadata, playing audio, and transferring it to an editing app. Snapper runs in the background. When you click a sound file in the MacOS Finder, a small window appears at the base of the Finder window. That displays a multi-channel waveform, with markers, and mute and solo buttons. It also shows ID3 and BWAV metadata info in a sidebar. 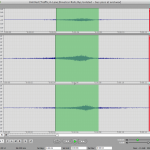 You can transfer audio anywhere via drag-and-drop, and spot a selected region of audio to a Pro Tools timeline. 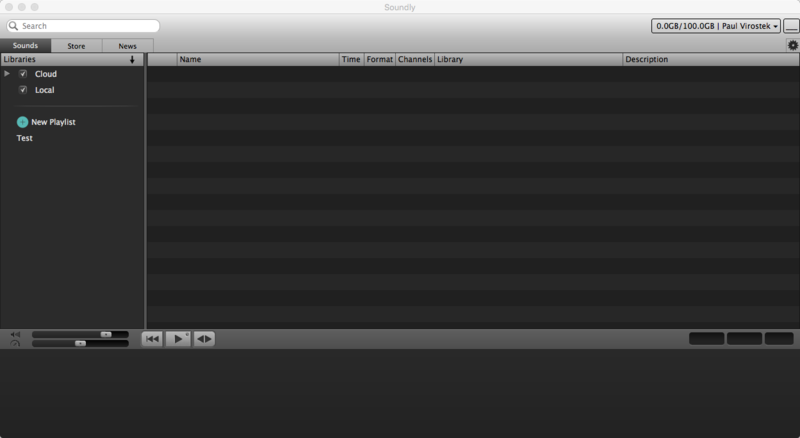 It also converts files to MP3. So, while it cannot write metadata, it offers many of the features of metadata apps except for search and project management. However, you could use the Finder’s search function to mimic that. If you’re on a budget, and your sound files are named well, Snapper is a good choice to preview and transfer sound effects inexpensively. 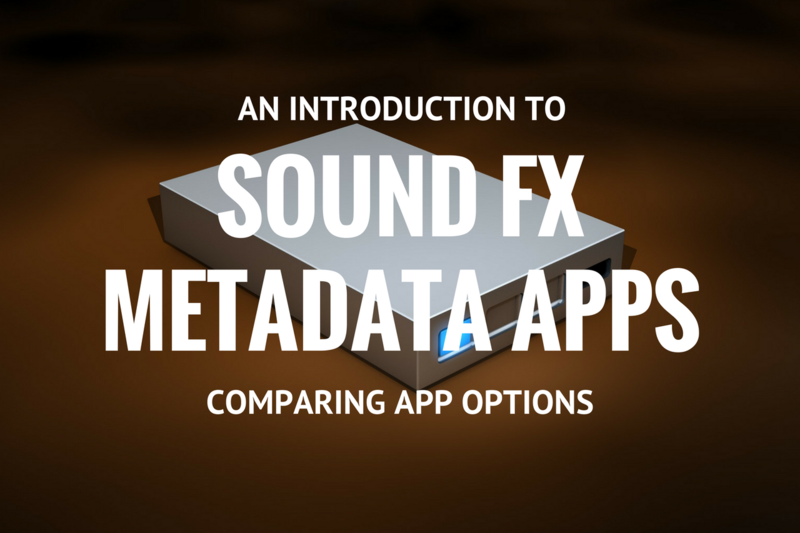 Not sure which metadata app to choose for organizing your sound fx library? Learn how to choose the best metadata app for your sound clip collection.